Finally Google has announced the replacement of human wallets and have introduced eWallet for transactions worldwide. Google has teaming up with MasterCard, Citigroup and Sprint to launch a new phone based Mobile Payment System. Which is officially known as Google Wallet, which will enable special chips embedded in many future Android devices to be used for payments? Instead of swiping a credit card, customers will be able to wave their Android phone in front of a reader to make a payment. "We believe the shopping experience has not yet been transformed by technology or by magical experiences. 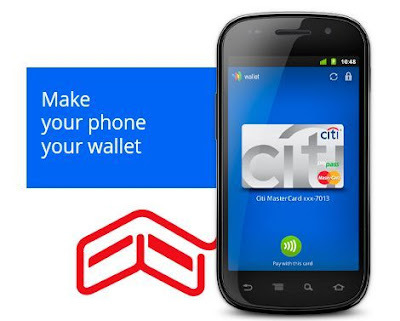 Now, your phone can be your wallet, you just tap, pay, and save." Google Wallet is being tried out first in a very limited release in New York and San Francisco. At the moment it will only work with Sprint’s Nexus S 4G phone but more Android based phones will be added in the coming months. It will also only work at the moment for people who own a Citi MasterCard or a Google Prepaid card with support for Google Wallet. A number of retailers and merchants have pledged support for Google Wallet. In addition, Google also announced a second related project today called Google Offers that will give you a special offer per day from a merchant that you can make use of via Google Wallet.